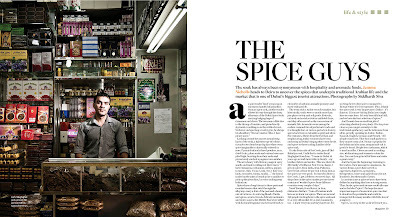 M (Weekend magazine of the National) ran this story I shot some time ago about spices. 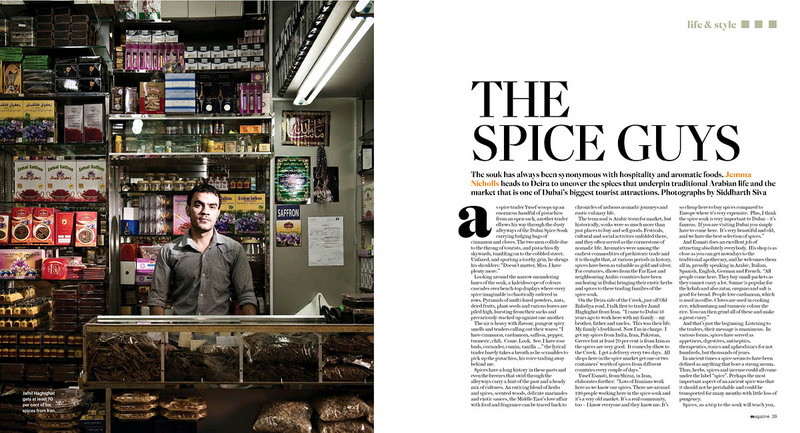 They opened with a portrait of a spice merchant in Dubai's spice souq. I shot this and some other portraits ona Saturday, when the souq was packed with tourists! I carried my camera with 24-70 lens and a couple of speedlights and a small stands. I also used the HonlPhoto snoot on the speedlight. For some of the portraits, the writer, Jemma Nicholls was kind enough to be a VAL (voice activated lightstand!) I was able to use a stand in this particular shot. Some images from the shoot below. Sid, I love these shots. And I love that market. Well done. looking forward to seeing you all soon. Now off to read the article...I see habiscus, lemongrass and saffron in my immediate future!